Do you change the Oil and Filter in your car? 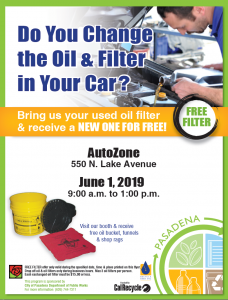 Bring us your used oil filter and receive a new one for free! Recycle all of your obsolete electronics and up to three legal size boxes of paper at our free event! 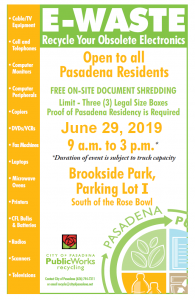 Pasadena Residents Only!